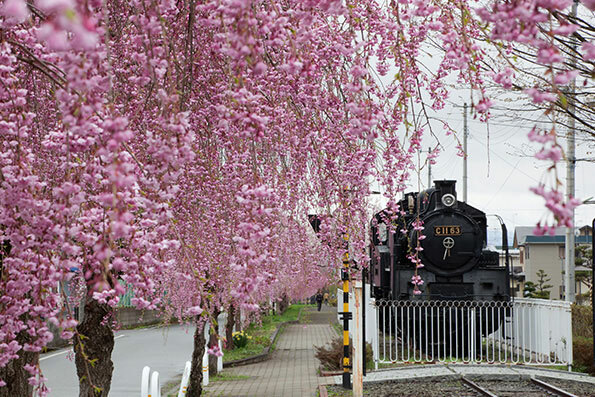 After taking the Toei Streetcar (Toden) Arakawa Line and enjoying the nostalgic atmosphere of the Shitamachi area in Tokyo on foot, head to Fukushima and soothe your tired body in a spa and savor the mouthwateringly delicious seafood. 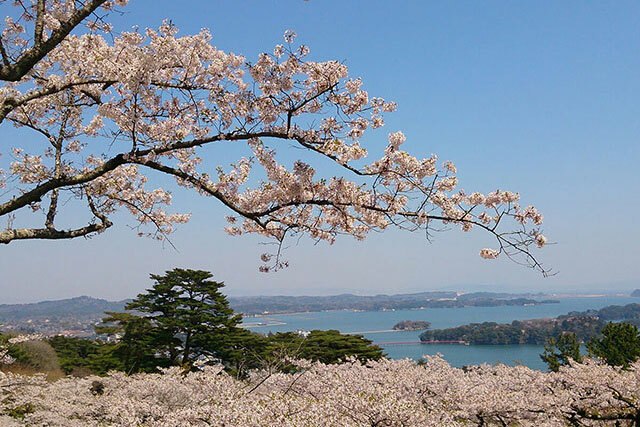 I flew from Sydney to Tokyo Narita with JAL whose staff were wonderfully polite and helpful. The inflight entertainment had a good mix of Hollywood movies and up to date TV shows and I liked the way the meals consisted of a mixture of Japanese and Australian favourites - we had chicken teriyaki as the main meal and were offered a pie and Tim Tam as a snack later on. Tokyo Station is one of the busiest station in Japan - over 3000 trains per day pass through it. Despite its busyness the station has an elegant air due to the historic European-style architecture of the Marunouchi building, which opened in 1914. The ornate brick façade and grand domes were designed by Tatsuno Kingo who was a student of the influential British architect Josiah Conder. 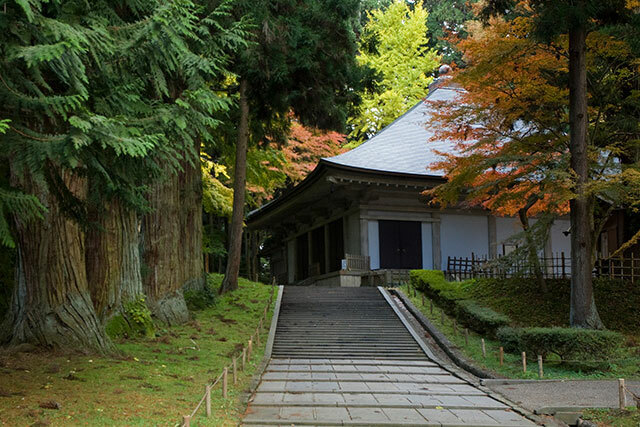 The Mitsubishi Ichigokan Museum is an art museum housed in a faithful reconstruction of the original Mitsubishi Ichigokan, one of the first western-style buildings in Tokyo. 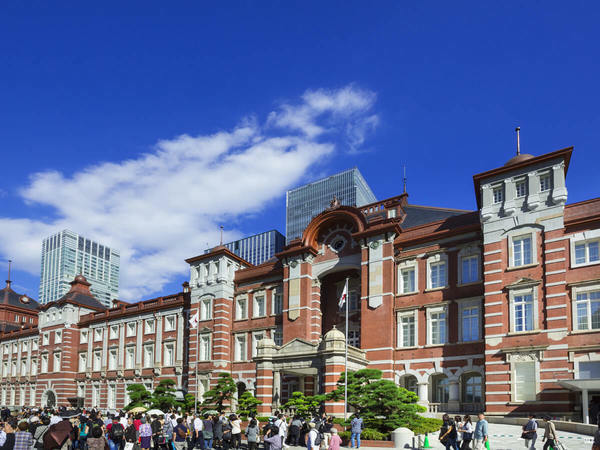 Originally completed in 1894, the building has a connection to Tokyo Station as it was designed by British architect Josiah Conder, the tutor to Tatsuno Kingo. 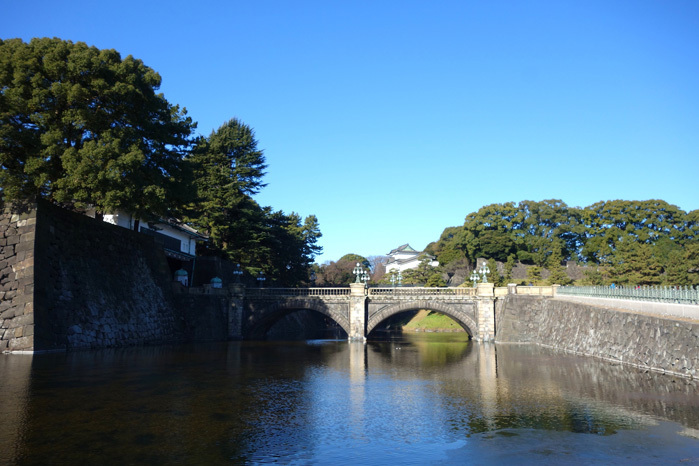 The Imperial Palace has a magical air to it, particularly during our winter time visit when the reflection of the modern buildings in the still moat forms a stark contrast to the historic palace and Nijubashi Bridge. 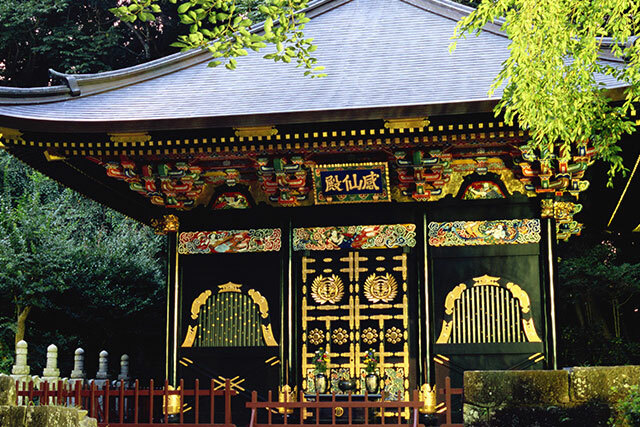 The original palace was built in 1457 and was home to Tokugawa shoguns before becoming the home of the Emperor and his family after the Meji Restoration. 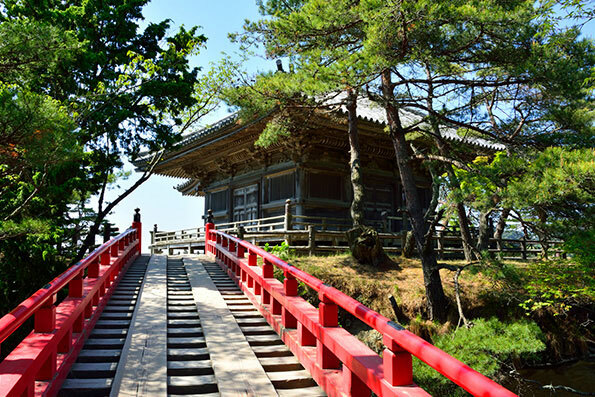 One of the most famous views is of the Nijubashi (meaning double level) Bridge which consists of a graceful arched stone bridge backed by a second metal one. It's common to see regal looking swans gliding across the water here, making your photos even more atmospheric. 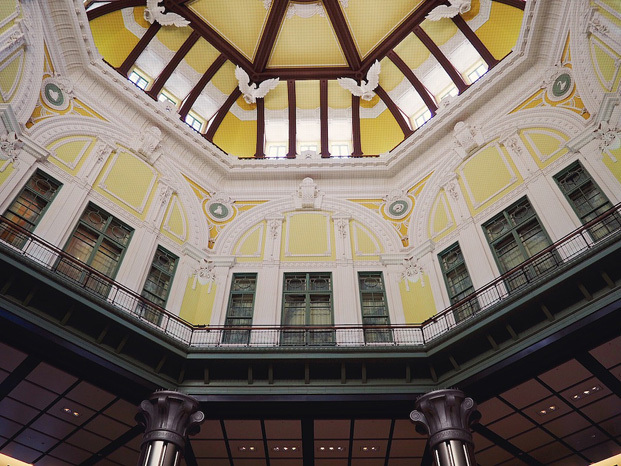 Tokyo Station is one of the busiest train stations in the world, but it also has a rich and interesting history. 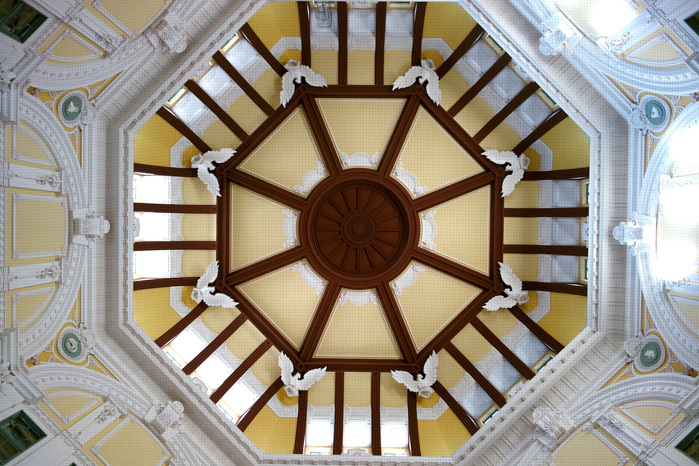 Don’t forget to look up when you’re passing through the North Exit on the Marunouchi side to catch a glimpse of the impressive domed ceiling! 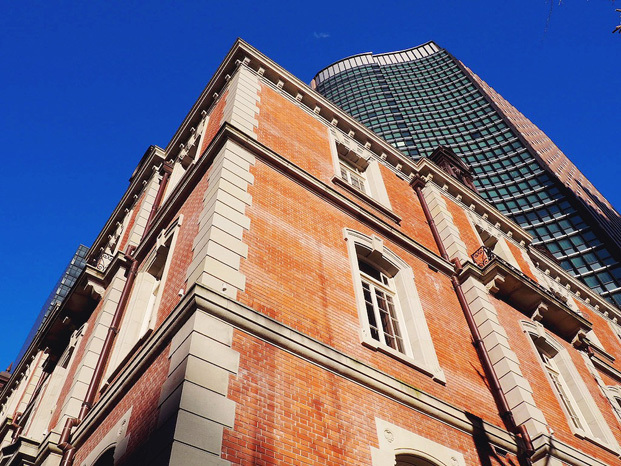 Close to Tokyo Station, this is another unusual western-style building with a red brick facade that stands out as a point of interest amongst the surrounding high-rises. 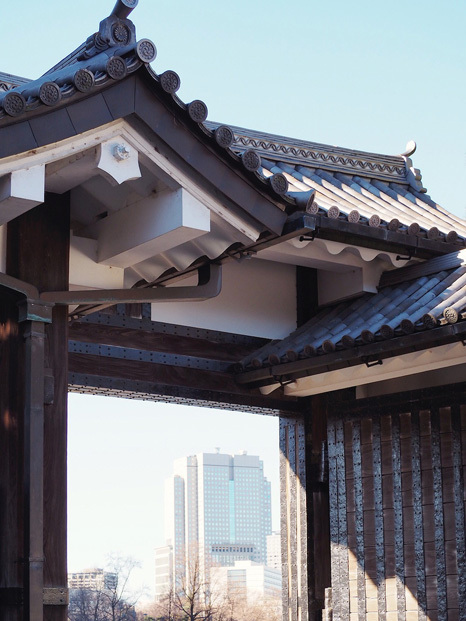 This bridge leads over the moat and into the Imperial Palace, which is one of the most important historical sites in Tokyo. 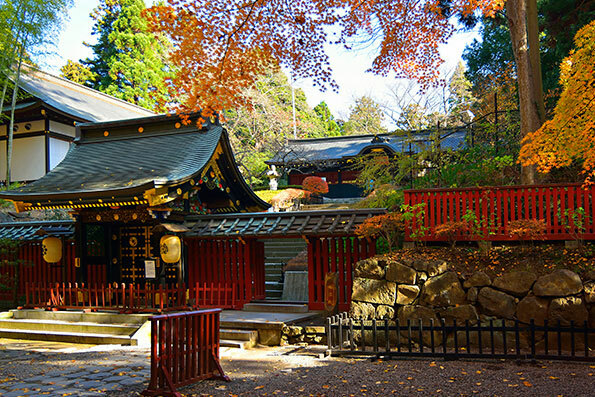 An oasis of calm in the metropolis, the beautiful scenery here makes it a popular photo spot for tourists. 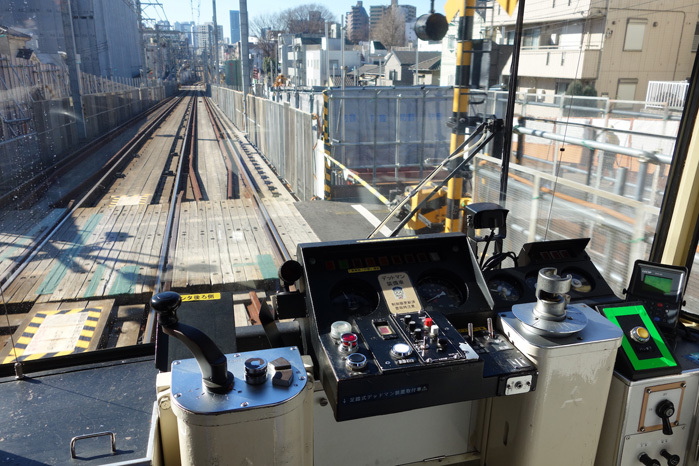 Not many people know that you can ride a tram in Tokyo. 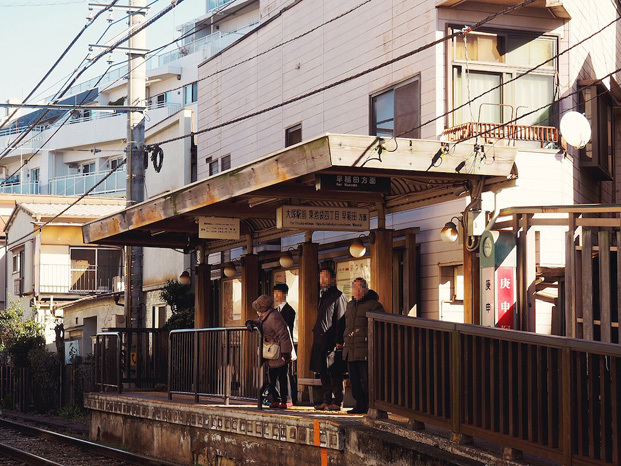 The Toden Arakawa Line dates from 1913 and as it's Tokyo's last remaining tram line you feel like you are journeying back in time. Tourists are welcome too though as announcements are made in Japanese and English and the journey costs just 170 yen each way. A ride on this single-carriage streetcar is like taking a journey back in time. 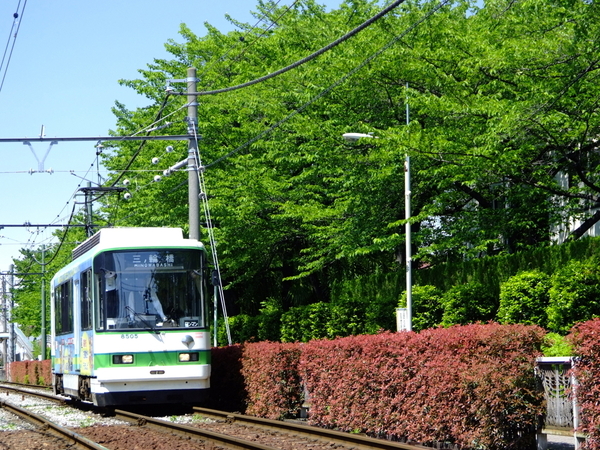 The slow pace of travel, combined with the vintage bell sounds on board, makes for a unique and relaxed way to explore some of Tokyo’s old neighbourhoods. It’s a great way to escape the crowds and enjoy a different side of the city! Amazake Alley is the small approximately 400-meter long street extending from the Amazake Yokocho Intersection just outside Ningyocho Station to Meijiza. It was given the name "Amazake Alley" because there used to be a shop selling amazake (sweet sake) at the entrance to the alley during the early Meiji Period. 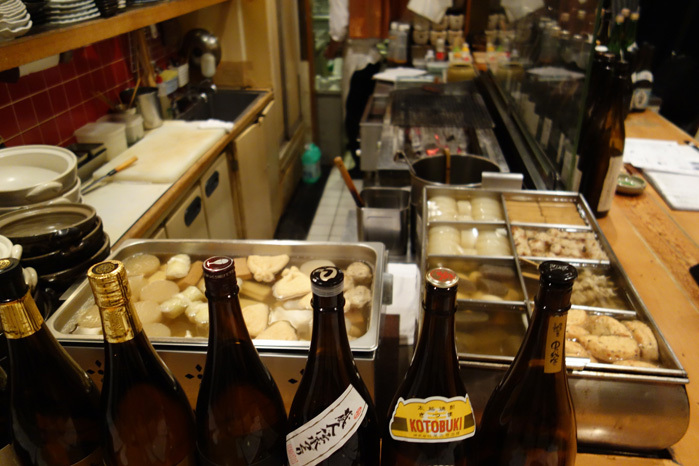 Even now amazake is sold at the many sake, Japanese-style confectionary, and other shops, and many people love walking down this alley to experience the Shitamachi (old Tokyo downtown) atmosphere. 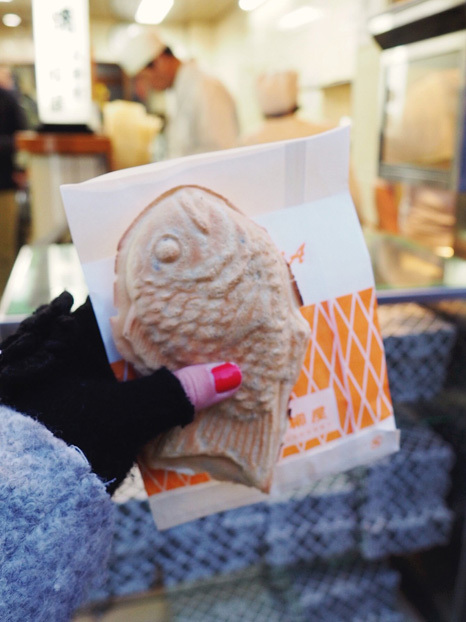 Ningyocho is a great place to sample some of Tokyo's top local treats including Taiyaki - fish shaped cakes filled with red bean paste - and Amazake - a sweet warm drink made from sakekasu, the lees (leftover bits) of the sake making process. 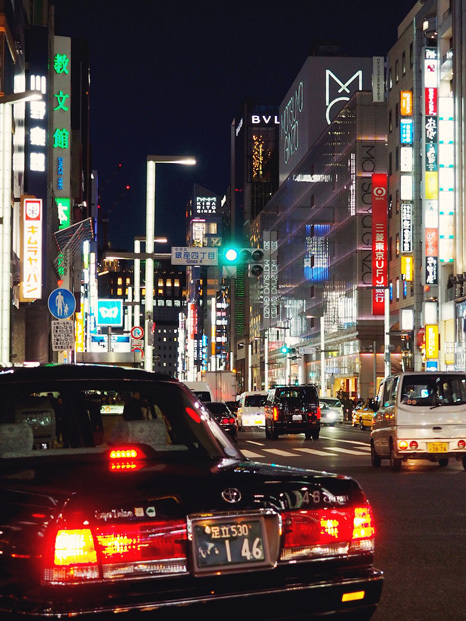 Ginza is a glitzy shopping district where you can find some of Tokyo's oldest department stores. I love visiting Mitsukoshi, one of the grandest department stores, where staff courteously bow to customers when the store opens. It also has a fantastic food hall with some quirky cakes including those shaped like cats! 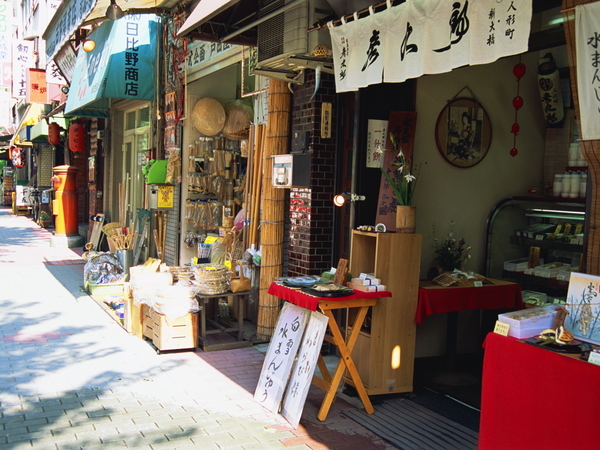 Ningyo-cho has a relaxed, laid-back atmosphere, and a shopping street filled with a wonderful mix of old and new businesses. 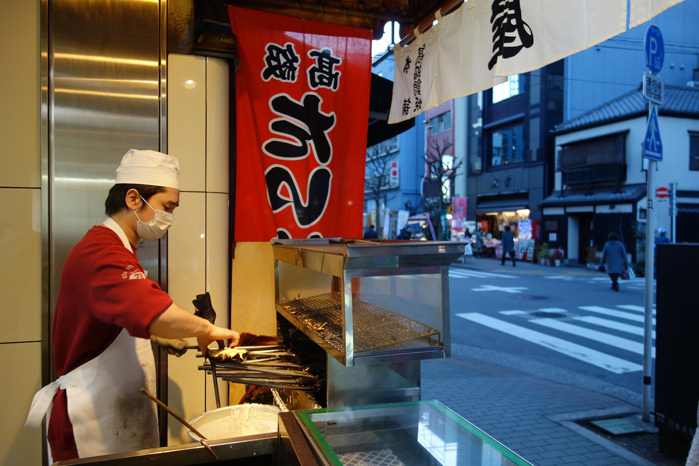 One of the most popular places to visit here is “Yanagiya”, which has been selling traditional fish-shaped “taiyaki” cakes since it was first established in 1916. Freshly made in iron moulds, these cakes are best eaten as soon as they’re purchased, while standing outside the store where you can enjoy the deliciously sweet aromas and traditional atmosphere. With its large number of department stores and high-end designer boutiques, Ginza has a reputation for being Tokyo’s most famous upmarket shopping district. 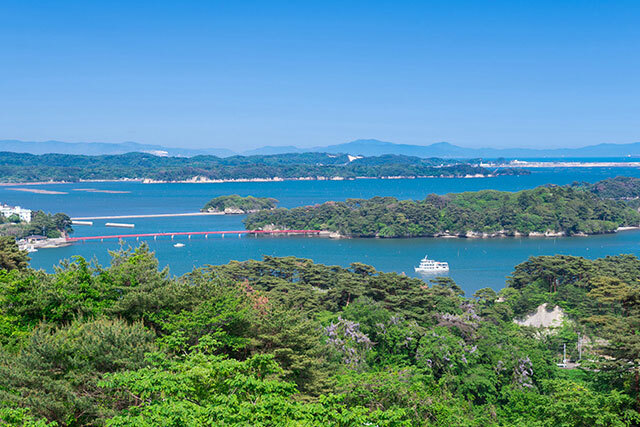 There’s still plenty to see and do outside of these fashionable and expensive stores, though, with cute bakeries, cafes and the impressive multi-storey Hakuhinkan Toy park to keep kids and adults entertained. 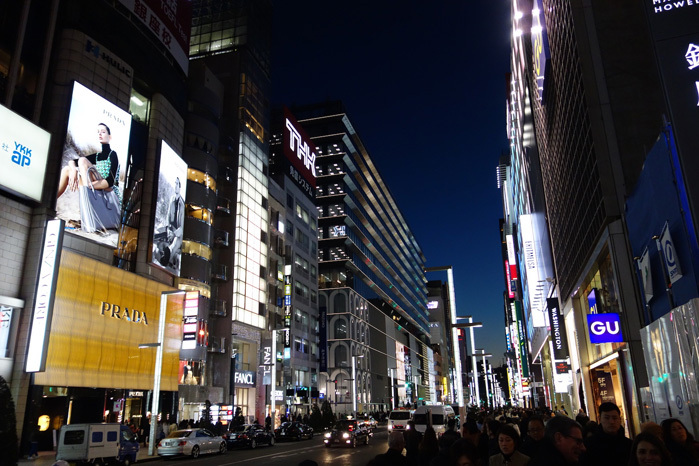 While the area is beautiful by day, and on weekend afternoons when the main shopping street is closed to traffic and taken over by strolling pedestrians, a visit to Ginza at night is truly spectacular. Located in Ginza Corridor Street, Godaigo specialises in oden, a simmered soup containing foods like eggs, tofu, meat, fish and vegetables. The traditional restaurant has a clean, wooden interior and a relaxed atmosphere, perfect for dining with a group of friends. 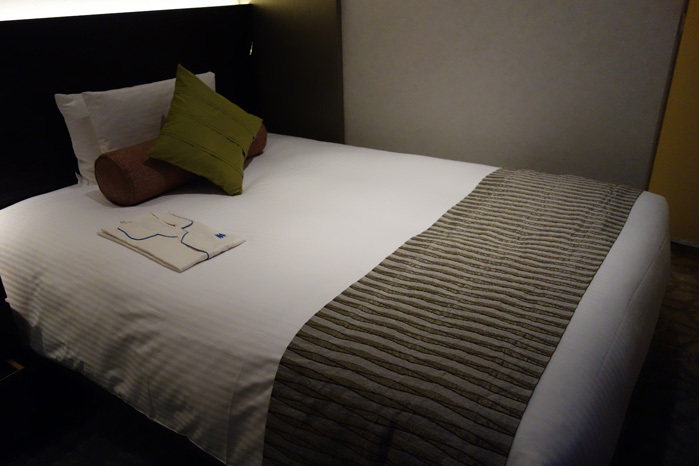 Hotel Metropolitan Marunouchi is a great place to stay in Tokyo as it has direct access to Tokyo train station. 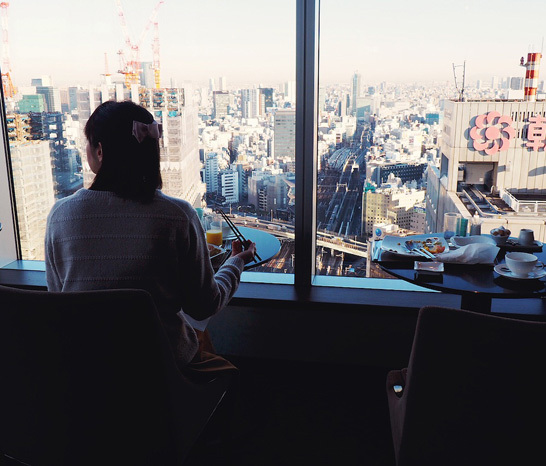 The hotel lobby and restaurant are on the 27th floor and the guest rooms are on the floors above that, so no matter where you stay you have great views, even at breakfast. The rooms are very well appointed with handy plug sockets in the bed headboard and ample amenities in the bathroom - mouthwash included. 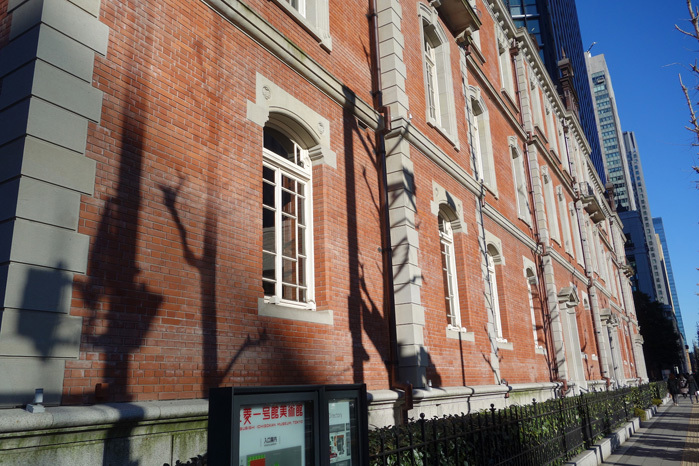 The Hotel Metropolitan Tokyo Marunouchi was a beautiful place to stay. Located a short walk from Tokyo Station, the hotel was central to trains and restaurants, and the ambience of the room and friendly staff service made the overnight stay very enjoyable. 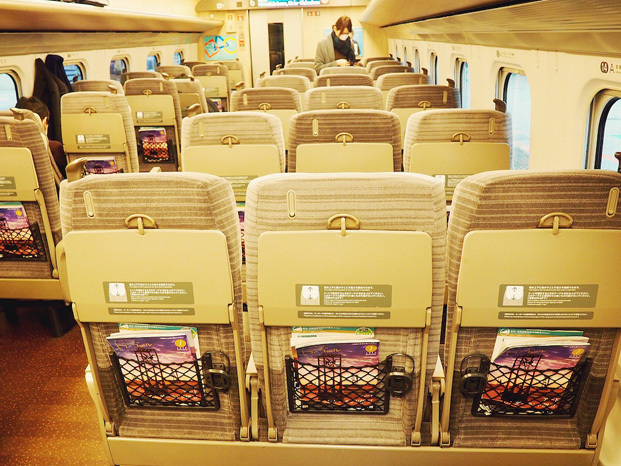 Seats on the Shinkansen are big and comfortable! These super speedy trains are almost always on time and offer a smooth and serene ride. There is a tray and plug sockets on board so that you can do work and you are welcome to bring your own bento box on board for dinner. 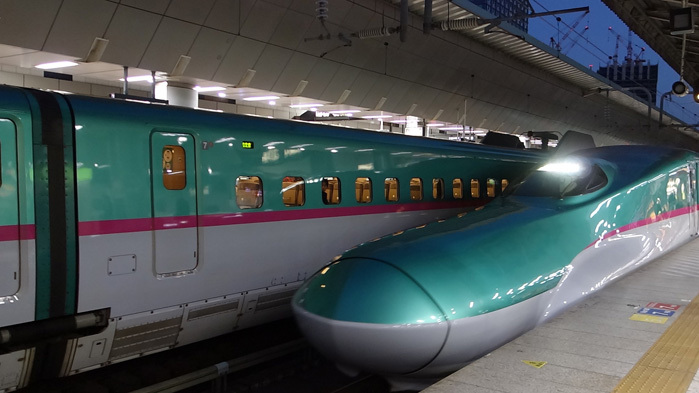 Riding the Yamabiko Shinkansen was very convenient and comfortable. It was on time and had plenty of leg room on board, which made for a very pleasant journey. 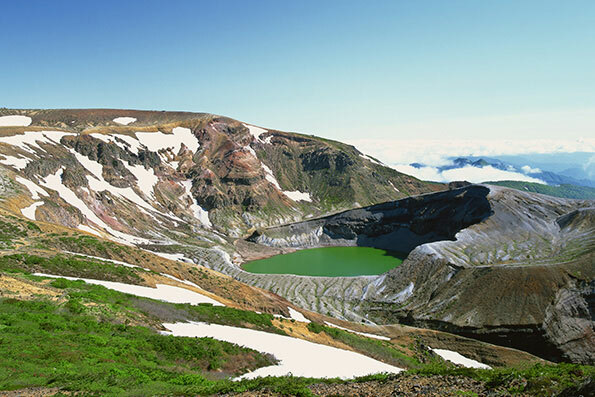 As the ski resorts of Urabandai are located at a high altitude, they remain open until the beginning of May. 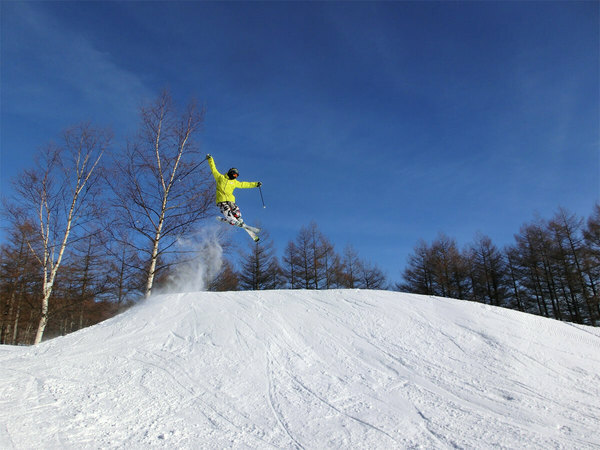 In addition to serious skiing and snowboarding areas, since the resort also has gentle slopes for sledding and playing in the snow aimed at families and beginners, there are areas where everyone can enjoy the snow. 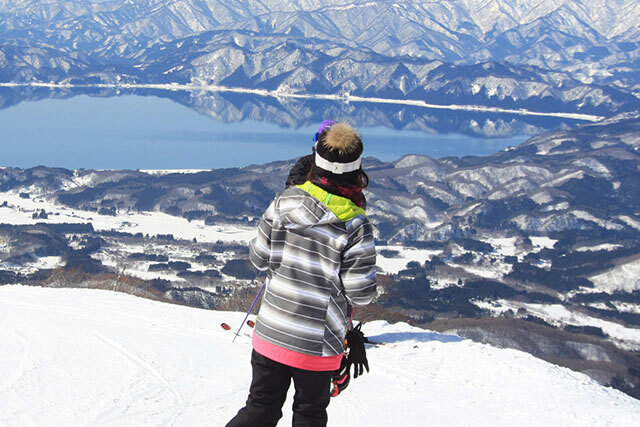 Grandeco Snow Resort is one of the few ski resorts in Japan that offers a 3,500m beginner's course. Full sets of gear can be rented at the resort, so there is no need to worry. I have never felt snow as soft as that at Grandeco Snow Resort - it’s so deep you can dive straight into it! I've never been skiing before so I wasn't sure if there would be much for me to do here but I couldn't be more wrong. Even if you have no ski experience you can try snowshoeing, sledding, driving snow mobiles and riding in a raft that is pulled by a snow mobile. 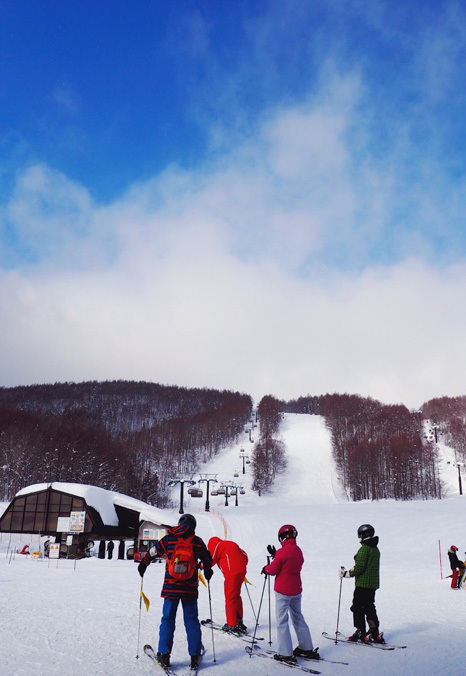 Located approximately 260 kilometres (162 miles) north of Tokyo, Grandeco Snow Resort is a great place for people of all ages to get out and be active in the snow. 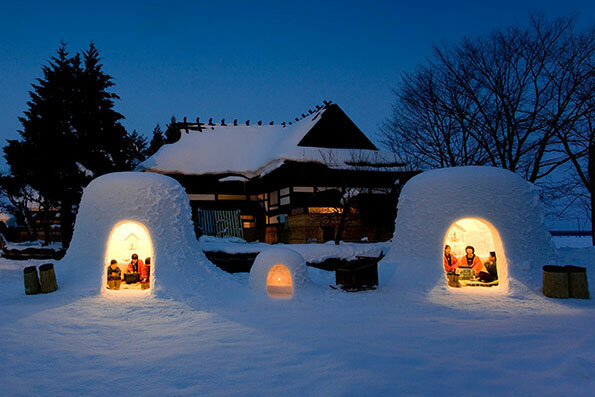 Visitors here can enjoy activities like skiing, sledding, snowshoeing, snowmobile riding and even snow rafting, in excellent powder conditions which are as good as any you would find in more far-flung destinations from Tokyo. 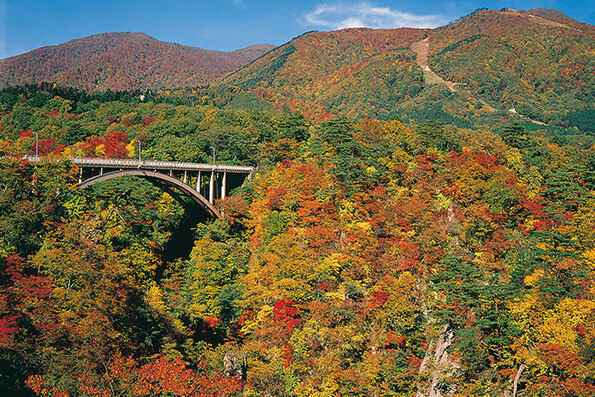 The scenery here is equally beautiful in summer and spring, when the mountains come alive with fresh green leaves, and in autumn, when guests can enjoy the unusual sight of fall foliage combined with snow, thanks to the resort’s impressively long ski season, which starts in late November and goes all the way to early May. 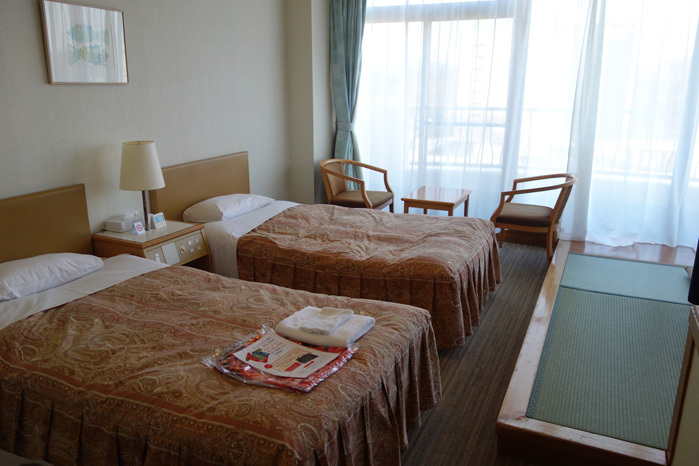 For guests wanting to stay overnight, the Urabandai Grandeco Tokyu Hotel right next to the resort offers a large number of twin and family rooms, an indoor and outdoor onsen hot spring, a swimming pool, Japanese and Western-style restaurants, and a beautiful view of the surrounding snow. Whether you choose to visit for a day or stay overnight, Grandeco is a fantastic place for a snow-filled getaway. Wonder Farm was a real pleasant surprise - who knew there were so many tasty things you can do with tomatoes! Before visiting the farm we had lunch at their restaurant which uses the tomatoes they grow to make rich sauces, jams, pizza and pasta toppings as well as tomato flavoured cakes and ice creams.The farm shop is also worth a visit as they have many food products from across the region, as well as tomato flavoured soft serve ice cream - I highly recommend you try it. 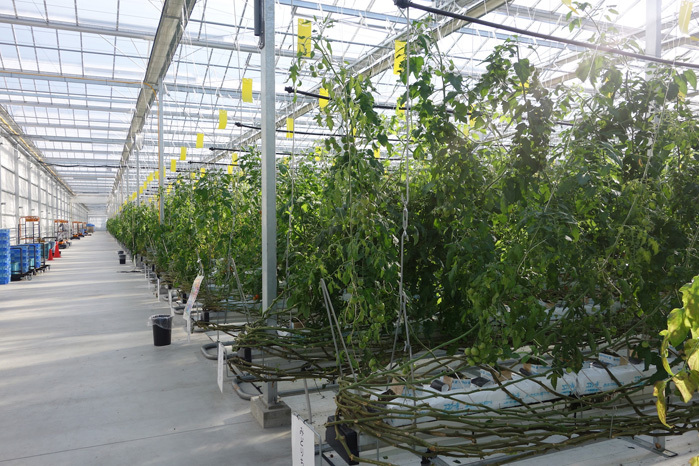 Opened in February 2016, Iwaki Wonder Farm is an “integrated agricultural theme park” with a restaurant, store, BBQ area and a massive greenhouse for growing tomatoes. 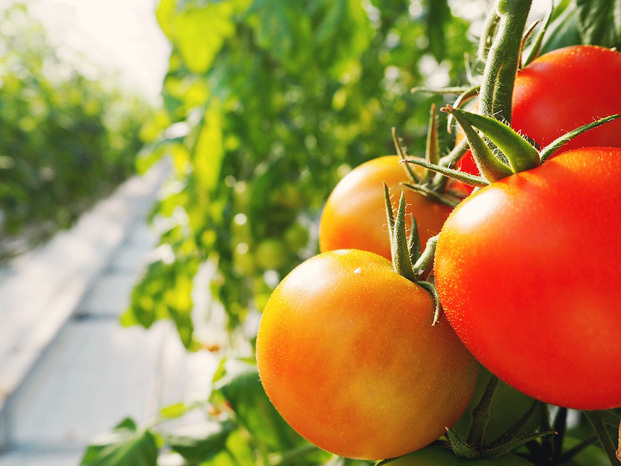 Visitors here can enjoy tomato-picking on the weekends, with the chance to try some delicious varieties. 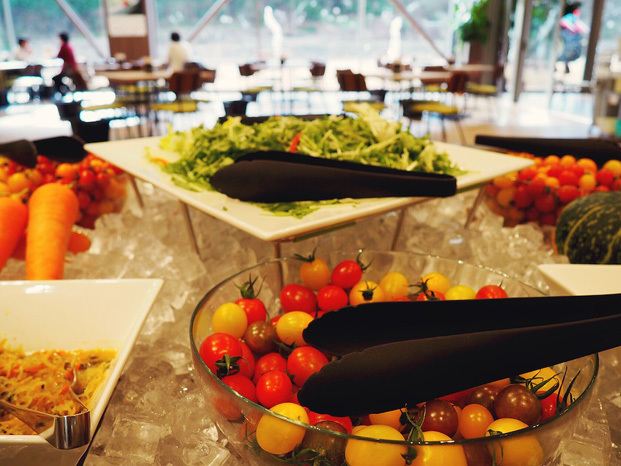 Fresh tomatoes can also be enjoyed as the star ingredient of juice, jams, dressings and even rock salt at the delicious “Forest Kitchen” all-you-can-eat buffet. Before going home, don’t forget to pop by the store to try the farm’s famed tomato-flavoured ice cream, which has a deliciously mild, sweet and fruity taste. My favourite part of the resort was the Edo Jowa outdoor onsen - one of the largest in the country. It's magical to visit at night when you can see the stars from the water or watch a shadow show that they hold around the pool at 10pm. 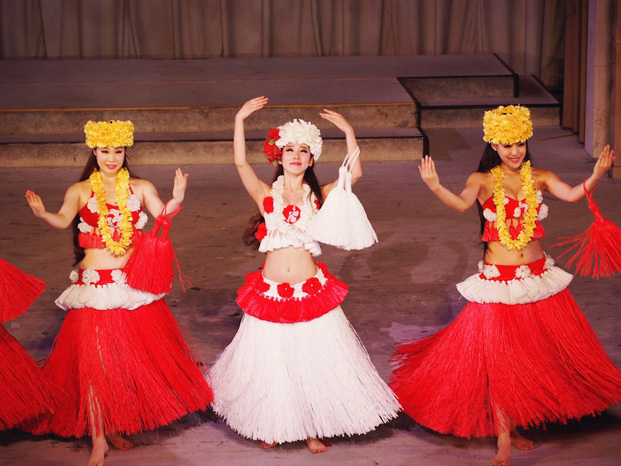 There is also a spectacular stage show in the evening with fire dancers, hula girls and lots of Polynesian dance and live music. Dinner at the resort was a spectacular buffet of Japanese and Western cuisine including lobster. 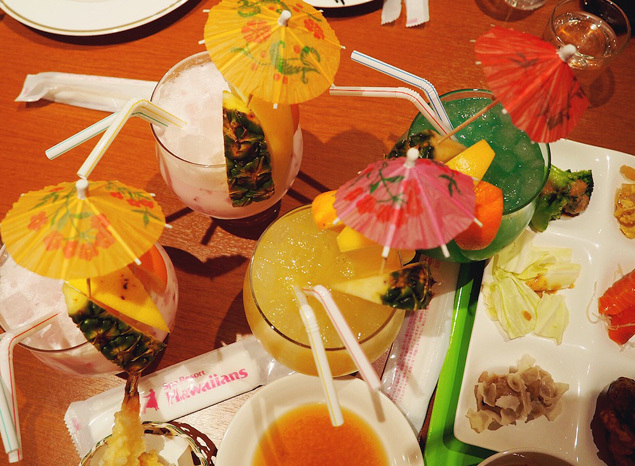 The cocktails were beautifully bright and tasty and with the Hawaiian music playing in the background you feel like you are sipping your drink on a Hawaiian beach somewhere. 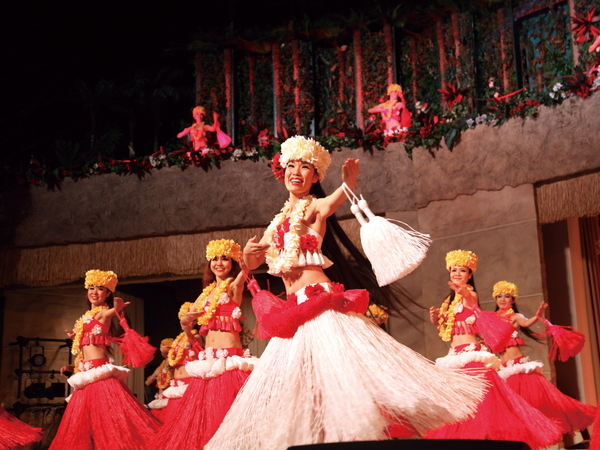 Not far from the Wonder Farm is Iwaki’s most popular tourist destination: Spa Resort Hawaiians. 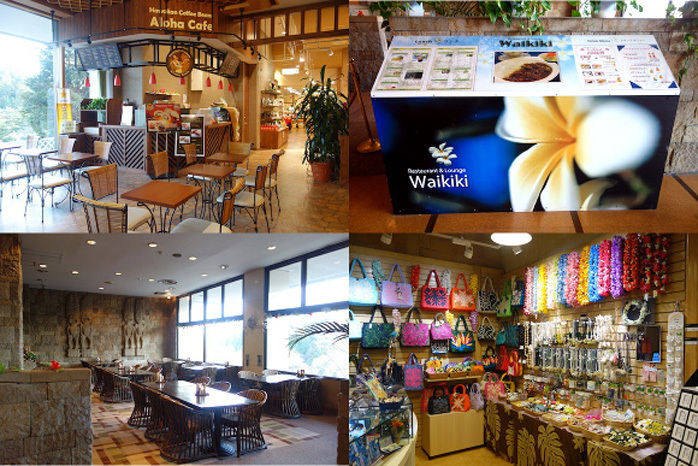 Styled with a Hawaiian theme, which extends to the cafes, restaurants and retail stores scattered throughout the sprawling complex, this resort makes you feel like you’ve taken a trip to Hawaii without leaving Japan! After slipping into a swimsuit and covering up with the Hawaiian gear provided by the hotel - a loose traditional dress called a “muumuu” for women and shorts and aloha shirts for guys - it’s time to head off to explore the enormous water park that the resort is famous for. Kept at a balmy average temperature of 28 degrees Celsius and fed with thermal waters from Iwaki Yumoto Hot Spring, the huge water park includes wading pools, flowing “streams” and three giant waterslides for adults and children to enjoy. 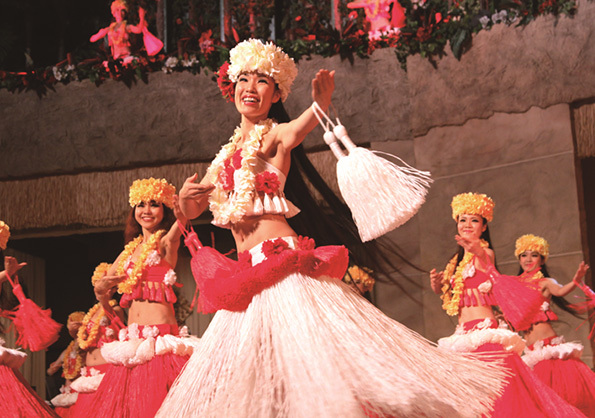 After dinner at the all-you-can-eat buffet restaurant, guests head to the event stage to see a performance by the world-famous Hula Girls. 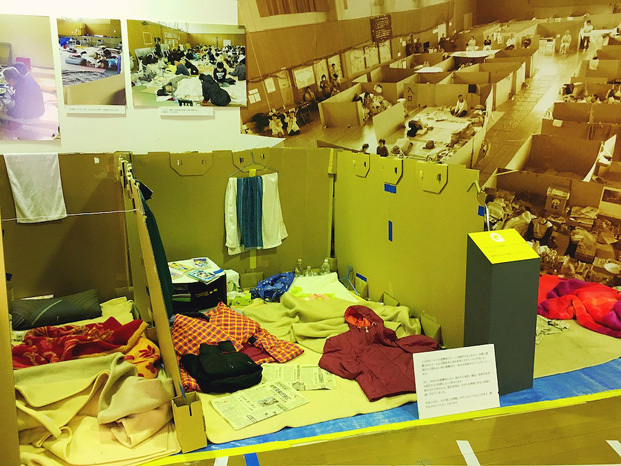 After the 2011 disaster, the dancers travelled around Japan, performing at earthquake refugee shelters in affected areas to show their support for the Tohoku region. The hotel rooms at Hawaiians are an interesting blend of Japanese and Western styles. There is tatami flooring and low tables for enjoying tea but Western beds to sleep in if you do not fancy trying out the futon. 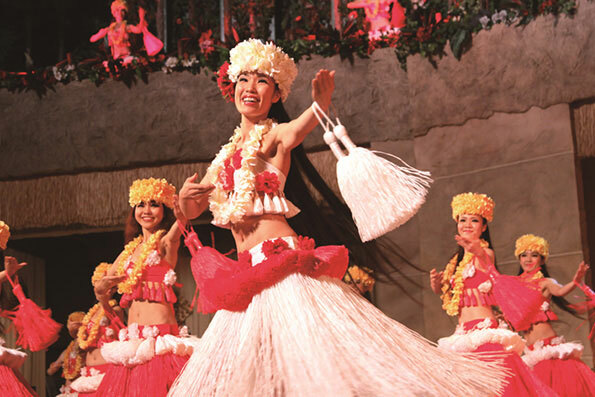 One thing to note is that Spa Hawaiians Resort is a sprawling complex with multiple hotel and spa wings. 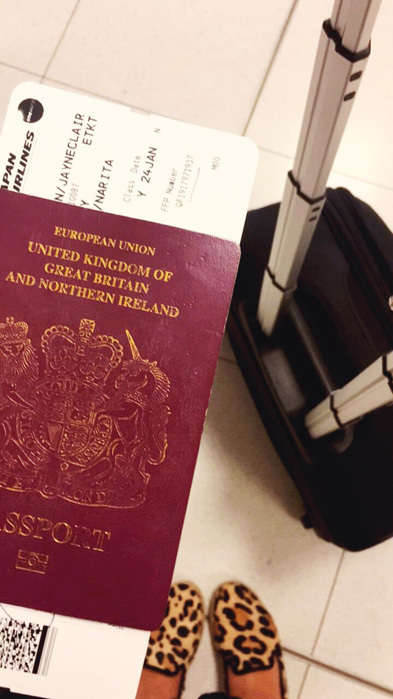 Make sure you ask for an English language map at reception so that you do not get lost when trying to get between your room and the pools! 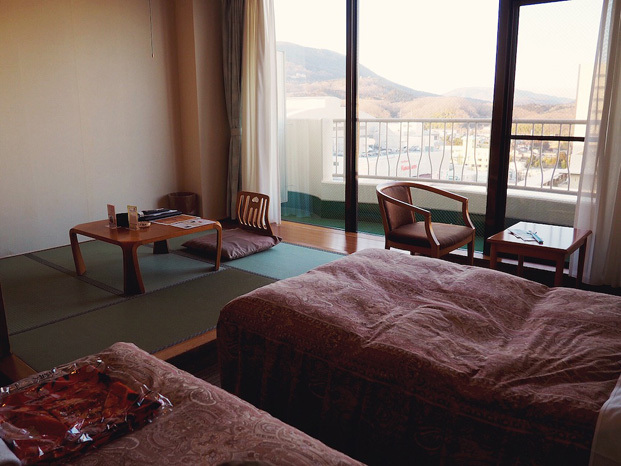 The hotel room had two single beds and a traditional tatami mat area for watching television and drinking tea and coffee. An aquarium with a memorable glass exterior. Distinctive for its exhibits recreating the environments of where living creatures (including plants) inhabit. 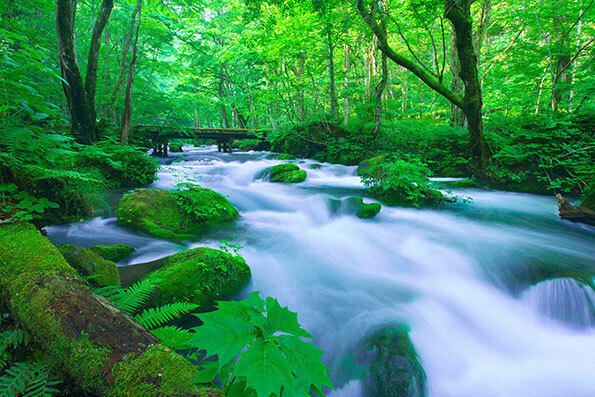 Approximately 800 species and 80,000 living creatures are exhibited. Marine life can be observed while walking through a tunnel passing through a large water tank. Observing the impressive movements of fish schools is particularly impressive. Outside, visitors can interact with life on a giant artificial beach that recreates the nature of the coast. Fishing, backyard tours, and other interactive experiences are held every day, so families can enjoy them together. 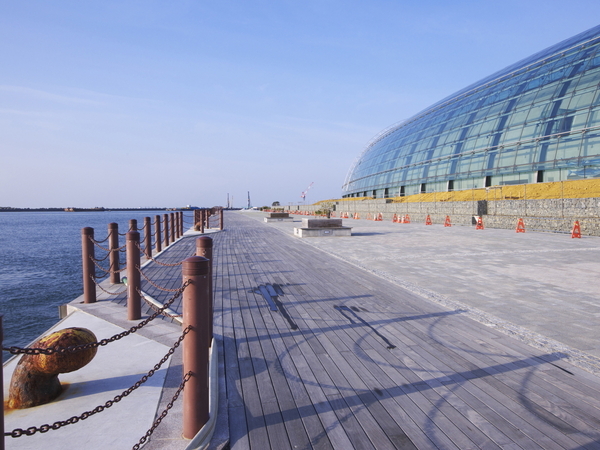 Aquamarine Fukushima is a large and impressive facility where you can view over 800 species of fish. There is also a brilliant child-friendly area where the tanks are slightly lower so children can see into them better. There's an even tank where you can crawl underneath it so it appears like you are in the aquarium - it makes for some very funny photos. 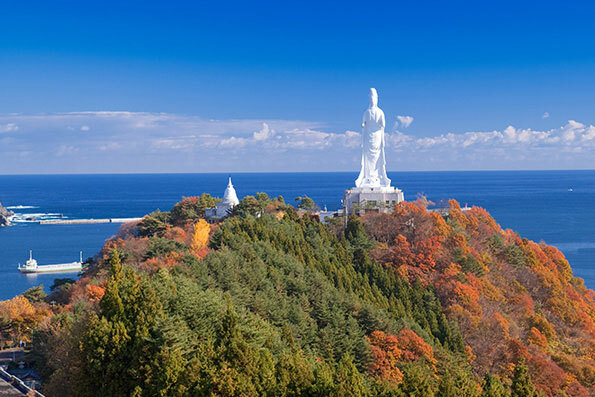 For those wanting to see just how far Iwaki has come since the 2011 Tohoku earthquake and tsunami, the area around Onahama Port is definitely worth a visit. 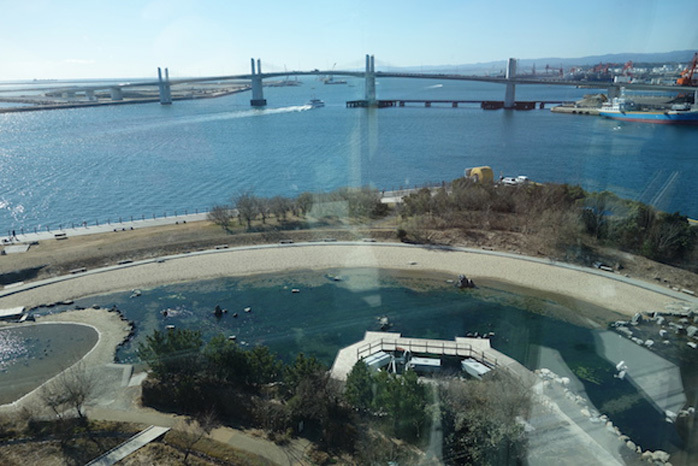 One of the main attractions at the port is Aquamarine Fukushima, a large aquarium built in 2000, which suffered extensive damage as a result of the 2011 disaster. Today, the facility has been fully restored, and the aquarium now takes part in regular research and conservation activities, while educating visitors about the marine world with a large number of displays. 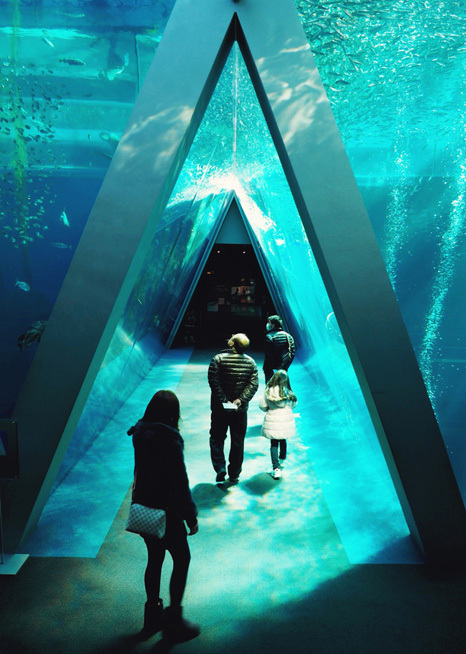 Families will especially love visiting the aquarium, with its range of child-friendly interactive activities, and a specially designed outdoor area that includes rock pools, a sandy beach and mud flats so visitors can view marine animals like sea urchins and starfish in their natural environment. 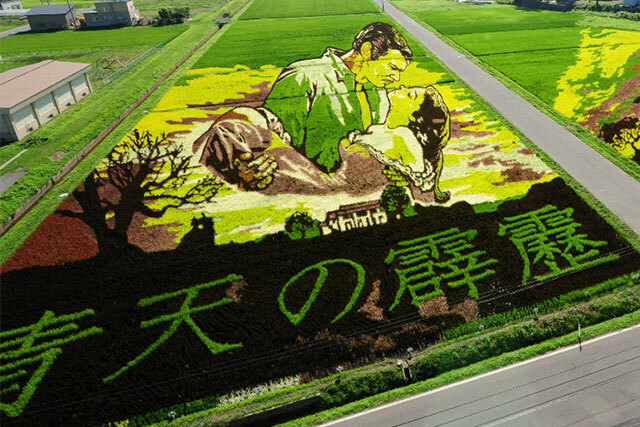 This facility was opened on July 25, 1997, as Iwaki's Tourism and Products Center. The two-story facility has various zones on each floor, including those with restaurants, fish shops, and gift shops. The front of the facility is lined with shops selling seafood, and inside the central entrance are gift shops, restaurants, tourist information centers, etc. 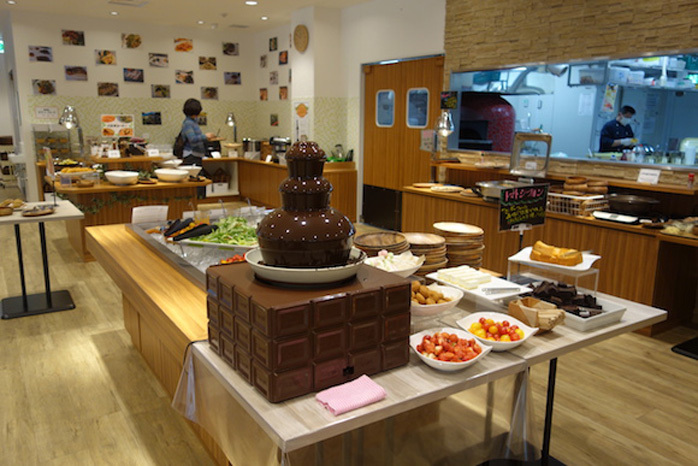 There are also restaurants on the second floor, and the administration office. 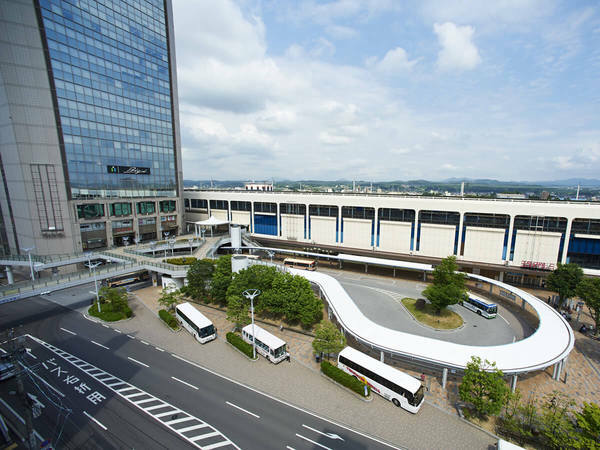 Moreover, the Iwaki Day Cruise terminal is found by the West Entrance. 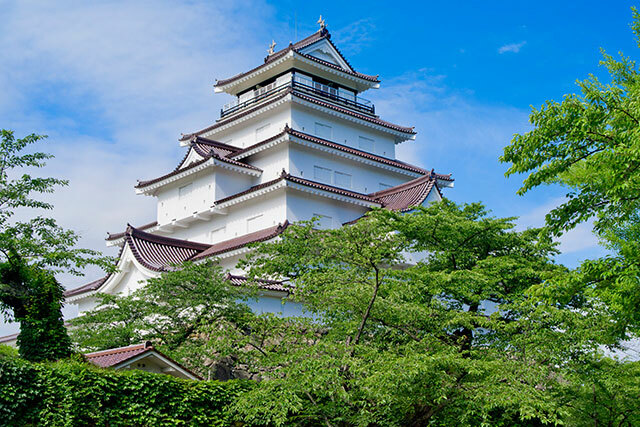 The Live Iwaki Museum on the second floor is free, and visitors may enjoy videos and panels introducing the history and tourist attractions of Iwaki City, as well as exchanges with its sister city. 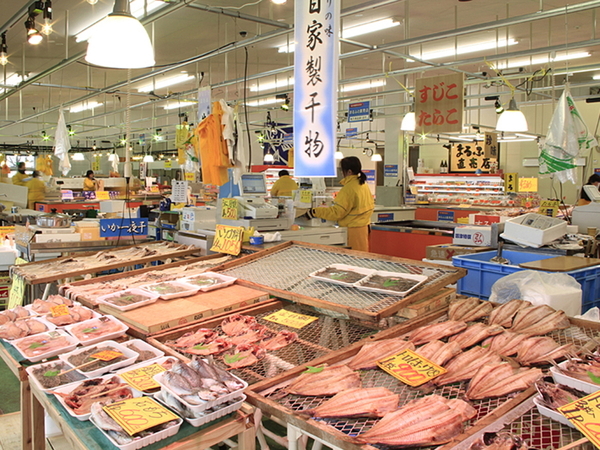 Iwaki La La Mew is a lively fish market and recreation centre where you can stop for lunch and souvenir shopping after visiting the aquarium. 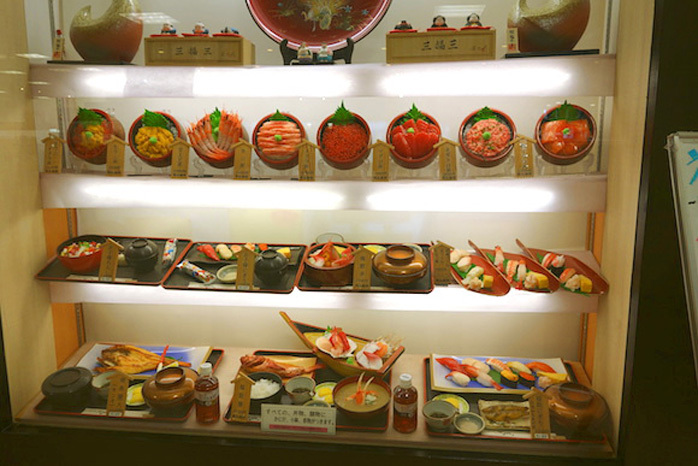 There are several small restaurants focusing on fresh seafood so it's a great place to eat sushi. 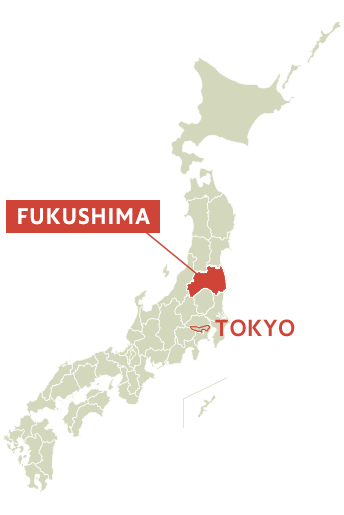 There is also an informative museum about the 2011 Tsunami and how people in this region coped during and after the disaster. If you would like a souvenir of the Iwaki region you will find lots of great options in the shops here. Originally opened in 1997, Iwaki La La Mew is billed as a “Sea and Fish Theme Park”, and is a great place to stop for lunch and some souvenir shopping after a visit to the nearby aquarium. Here you can find a fresh seafood market, specialty stores selling local goods, and over ten restaurants. Kids will love the large indoor play area and game centre, while adults will love looking for cute souvenirs and specialty products. One of the must-buy items here is a box of sweets featuring Iwaki’s cute mascot character, Hula-Ojisan, a hula-dancing middle-aged man! 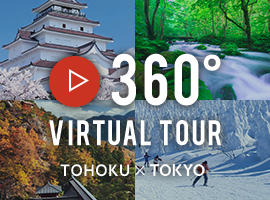 This tour showed me a completely different side to Tokyo - the side without any tourists! 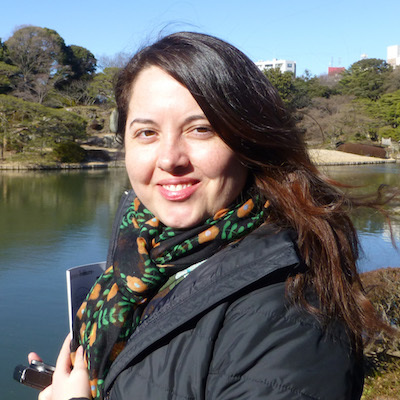 It was wonderful to explore the local neighbourhoods, visiting temples and trying delicious tempura like a Tokyo resident. 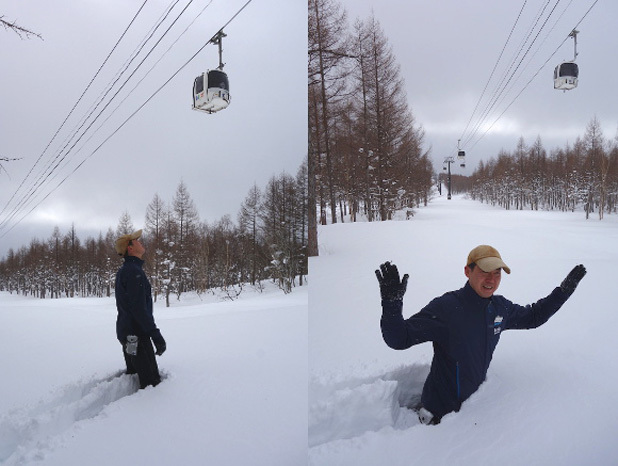 I was also pleasantly surprised by the powder soft snow at Grandeco Snow Resort that you could dive right into and had a lot of fun at Spa Resort Hawaiians - a unique themed spa resort in Fukushima. 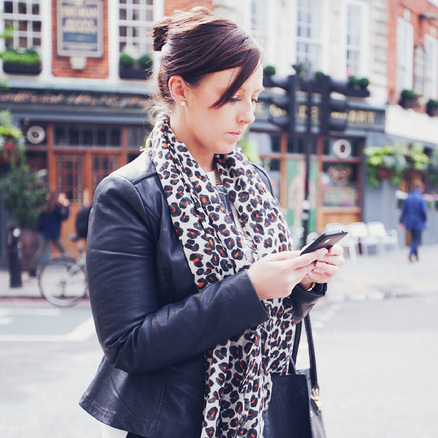 stylish travels, social media and sweet treats. 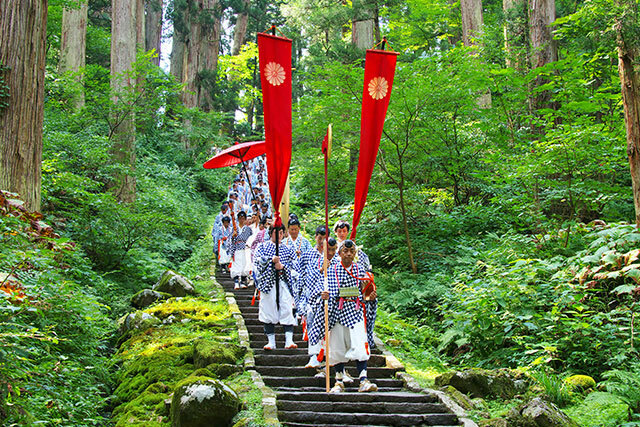 This is a great itinerary for those wanting to stay active while relaxing at some of Japan’s secret, off-the-beaten track destinations.